Don’t Let Their New Backpack Aggravate The Scoliosis! As per the American Physical Therapy Association your child’s backpack should never exceed 10-15% of his or her body weight? In an average 12 year old child that is 10 lbs worth and that includes the backpack itself. Unfortunately due to heavy homework loads and nearly non-existent lockers, the average child carries 22-27% of their body weight in their backpack. This extra weight creates unnecessary strain on a child’s spine aggravating an already scoliotic spine. 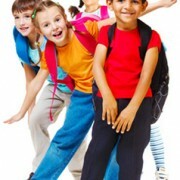 A heavy back pack can pull a child backwards making him or her overcompensate by bending forward or arching their backs, in turn further compressing the spine. If your child prefers the “over one shoulder sling” he or she may lean far to the one side to offset the weight of the heavy backpack. Overtime, repeated use will lead to increased strain on their posture, muscle strain and pain in the back neck and shoulder areas. https://www.southfloridascoliosiscenter.com/wp-content/uploads/2015/06/08-08-13-back-to-school.jpg 398 302 admin https://www.southfloridascoliosiscenter.com/new/wp-content/uploads/2015/03/sfsc-logo.png admin2013-08-08 05:30:152015-07-04 14:33:16Don’t Let Their New Backpack Aggravate The Scoliosis! The emotional effects of scoliosis in teenagers can be every bit as real and serious as its physical effects. Scoliosis is a condition in which an individual’s spine has a lateral, or side to side curvature. In terms of its effects on your teen, Scoliosis can affect the shape of your teen’s back, rib cage, shoulders, and hips. In addition these changes can affect how he or she feels about herself. Teenagers are already challenged by having to deal with the pressures of being a teen – throw in a diagnosis of Scoliosis and the added challenge may affect his or her self-confidence, relationship to peers and everyday behavior. Many studies have found that teenagers with scoliosis are not happy with their appearance. They often fear their bodies are developing abnormally and view themselves in poorer health than their peers. Unfortunately a teen’s body image does not always relate to the size of his or her curve – your teen may have a relatively small curve and still refuse to wear bathing suits, tank tops, or tight fitting clothing. Teenagers with scoliosis are also commonly unwilling to be involved with activities requiring them to wear a swimming suit or other clothing that might easily reveal the curvature of their spine, all of which can lead to social isolation. Adding to this many of these children are made to wear bulky and uncomfortable braces for up to 23 hours a day further limiting their physical activities and involvement with other children. Long term statistical studies show patients deeply affected by scoliosis are more prone to depression and alcoholism later in life with 4 out of 5 women with scoliosis, never marrying. Being diagnosed with scoliosis can cause your teen a lot of stress. When first diagnosed, your child may feel anxiety, fear, and withdrawal. These feelings tend to improve with time depending on treatment. Discuss with your teen his or her diagnosis and the treatments available. Assure your child that the condition does not make him or her less of a person in school nor in the community. Accept your teenager’s feelings and communicate that you understand. Talk to your teenage son’s or daughter’s friends and educate them about Scoliosis and how they can help their friend have an easier journey. Don’t stop your teen from engaging in physical activities that he or she has always done but check with your physician for any necessary restrictions. Exercising regularly can help your teen feel better about her body. Find support groups for teens and families also dealing with Scoliosis- being in contact with other teens facing the same issues can help. Talking about the challenges of clothing, sports, and dating can help your teen cope better. Exercise and Scoliosis – What Are My Choices? Many adults and teenagers with scoliosis, are curious about the risks and benefits of exercises and sports participation. Although it is important for all people, including those with scoliosis, to exercise and remain physically fit we recommend a bit of caution while embarking on a new regimen. Scoliosis is a curvature of the spine. The spine bends sideways and twists creating a lateral, or side to side curvature. Usually the upper or lower back is twisted, but in rare cases scoliosis can affect the neck. Although scoliosis is a three-dimensional deformity, on an x-ray, scoliosis curves can often look like a simple “S” or a “C” shape. 80-85% percent of scoliosis cases are idiopathic, meaning the cause is unknown. But it appears that heredity is one factor, since scoliosis tends to run in families. Scoliosis often appears during the onset of puberty, and more females than males are affected. Scoliosis is complex and affects everyone differently. 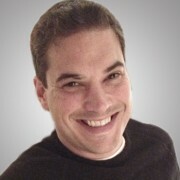 Accordingly, it is crucial to accurately diagnose and analyze each patient on a case-by-case basis, and design a treatment plan based on the individual’s unique situation. As a CLEAR™ Institute certified location; South Florida Scoliosis Center (SFSC) does not endorse any type of bracing. In fact, clinical experience demonstrates that attempting to utilize a brace while the patient is undergoing our treatment may have an adverse effect. Our protocols attempt to strengthen the same postural muscles which are made weaker by relying upon the brace. If you have scoliosis, posture and muscle changes caused by the condition may restrict your movements while exercising. In some cases, your endurance may be affected by reduced lung capacity. Regimens that include running or jumping can also be especially hard on the scoliotic spine further compressing one misaligned vertebrae into the other. 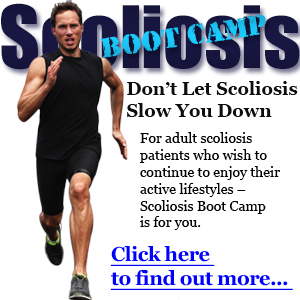 https://www.southfloridascoliosiscenter.com/wp-content/uploads/2015/06/04-27-13-exercise-and-scoliosis.jpg 283 424 admin https://www.southfloridascoliosiscenter.com/new/wp-content/uploads/2015/03/sfsc-logo.png admin2013-04-27 05:17:252015-07-04 14:37:02Exercise and Scoliosis – What Are My Choices? Adult Scoliosis – Is it the Cause of Your Pain? Because scoliosis typically affects adolescents, adults who are diagnosed with adult scoliosis are often shocked. Scoliosis is a condition in which an individual’s spine develops a side to side curvature – or sideways S or C shape. Although the symptoms of scoliosis are the same for adults as well as teenagers, adults face a different set of challenges than teenagers. While scoliosis does not generally cause pain in children or teens, it can cause pain in adults, especially those with osteoarthritis. Even in other types of adult scoliosis, pain may be present because the natural flexibility of youth has diminished, and the muscles that have helped to compensate for the curve become overtaxed. 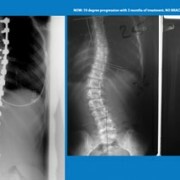 https://www.southfloridascoliosiscenter.com/wp-content/uploads/2015/06/04-10-13-adult-scoliosis-pain.jpg 200 300 admin https://www.southfloridascoliosiscenter.com/new/wp-content/uploads/2015/03/sfsc-logo.png admin2013-04-10 05:58:492015-07-04 14:38:55Adult Scoliosis – Is it the Cause of Your Pain? Spring your Spine Health into Spring! The beautiful South Florida Spring season brings many opportunities to stay outdoors and increase your physical activity. While everyone can benefit from taking advantage of the pleasant weather, the trick is not to overdo it. Getting your body used to an active lifestyle takes conditioning and common sense. Whether it’s golf, tennis, gardening or just walking- stretching is one way to assure you remain in action longer. A five minute stretching session both before and after physical activity can pay big dividends by keeping you healthy and preserving your motivation to stay active. First focus on the larger muscle groups. Because the quadriceps and hamstrings in your thighs are generally the largest muscles of the body and play a key supporting role for your back, they deserve special attention. That means stretching the back, front, plus the inner and outer thigh. Lastly stretch the whole body. Work up through the back, arms and neck, and then down through the calf and ankles. Nearly every cell of the human body contains water. Without water, cells don’t function properly and they certainly don’t function to their full potential during exercise. This is why it is important to hydrate before exercise. Studies show that dehydrated exercisers complete three to five fewer reps per set, during strength-training sessions. Dehydration also lowers hormone levels necessary for strong muscles. One to two hours prior to your heading outdoors, we recommend drinking one ounce of water for every 10 pounds of your body weight. If you weigh 120 pounds, drink 12 ounces of water before and don’t forget to sip water during your workout to replenish the fluids your body loses through sweat. Most of us are aware that a heating pad or warm bath after a workout can make a big difference in terms of pain reduction and comfort. What is not so well known is that heat can also play a preventative role, as well. Applying heat before a workout session can significantly minimize muscle strain. Studies have shown that individuals who applied a heat to their lower back before a workout session rated their post-exercise pain as 50% less intense as those who only stretched prior to working out. Using commercial heat wrap products available in drugstores may help keep you comfortable and get you back to action sooner. Applying heat therapy after exercise calms the muscles and prevents cramping. After a workout, muscles and joints are potentially dehydrated and, not as stable as when resting. Applying a heating pad or wrap for approximately 10 minutes while seated or lying down after a workout session or strenuous activity can help muscles calm down and return to their normal state without seizing up. https://www.southfloridascoliosiscenter.com/wp-content/uploads/2015/06/03-25-13-spring-into-spring.jpg 216 325 admin https://www.southfloridascoliosiscenter.com/new/wp-content/uploads/2015/03/sfsc-logo.png admin2013-03-25 05:02:172015-07-04 14:39:24Spring your Spine Health into Spring! Left untreated the progression of scoliosis can cause deformity of the spine, respiratory, cardiac and digestive problems, as well as debilitating pain. Although a diagnosis of scoliosis can be scary, effective, non-invasive treatments that can stop the onset of scoliosis are now available. The conventional medical management of scoliosis involves monitoring, bracing, medication and/or surgery. If the patient is still growing, progression is monitored by x-ray and then follow-up x-rays every few months. If the curve progresses, a spinal brace intended to prevent further progression is typically recommended. Spinal braces tend to be uncomfortable and awkward posing a compliance challenge to the self-conscious adolescent. If the scoliotic curve progresses beyond a certain point, the patient may then be recommended for spinal surgery. An invasive procedure where a metal rod is surgically fused to the spine to straighten it out. Medication is suggested only as a means for symptomatic relief. Many physicians still suggest three basic methods of treatment- observation, bracing and surgery. However, research now shows that alternative non-invasive options are more effective in the treatment of the curve. At South Florida Scoliosis Center we provide a unique non-bracing, non-surgical plan effective in the treatment of scoliosis. Using the CLEAR™ Institute methodologies our physicians are able to assist our patients in actively reducing the curvature of the spine without invasive surgical procedures and unsightly braces. In light of the severity of conventional treatment, chiropractic care is the most logical approach for scoliosis management. At South Florida Scoliosis Center we are able to provide our patients with a hands on, non-invasive and drug-free treatment to correct the underlying mechanical problems of scoliosis. We assist our patients in relieving pain organically and empower them to continue any necessary home care corrective and postural awareness exercises that may be required. Using these protocols we have been successful time and time again in reducing and reversing the progression of the scoliotic spine. No embarrassing brace to wear, no casting and no surgery!